The story starts with Chiomara, a poor pheasant girl, being wed against her wishes to the Chieftain of their tribe, Ortigon. Her father was a Roman soldier that raped and then killed her mother’s husband. 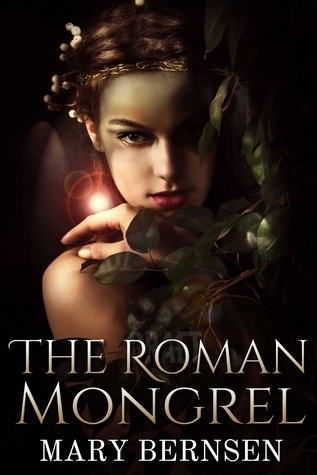 Even though Roman blood runs through her veins, she hates Romans will all her heart. After several years of blissful marriage, two Consuls from Rome decide to attack and wipe out her people for siding against them in a recent war. The Romans consider them filthy mongrels, mixed blood. How will Chiomara and her people survive?Chiomara is a feisty, hot-tempered beauty that even her husband has trouble controlling. I did like her character, always looking out for the less fortunate people of her tribe. Her beauty ends up attracting the eye of the one the Cosuls, which leads to several confrontations she will have to deal with. I felt the pace of the story was slow for the first 1/3 of the book, and I almost lost interest. But the storyline and pace finally picked up and I became involved with Chiomara and her people’s plight. The dialogue wasn’t always authentic for the time period the story takes place in, too many slang words and phrases not known during the Roman era. There were so many proofreading and editing errors, and for me, they really kill the enjoyment of a book. Finnish for Finish, or should for she’d. With some polish and a little more work, this could be a really good story. For now, I thought it was an average read and give it 3 feathers. Good book, great premise, I just wish it was longer! It seemed to end abruptly!